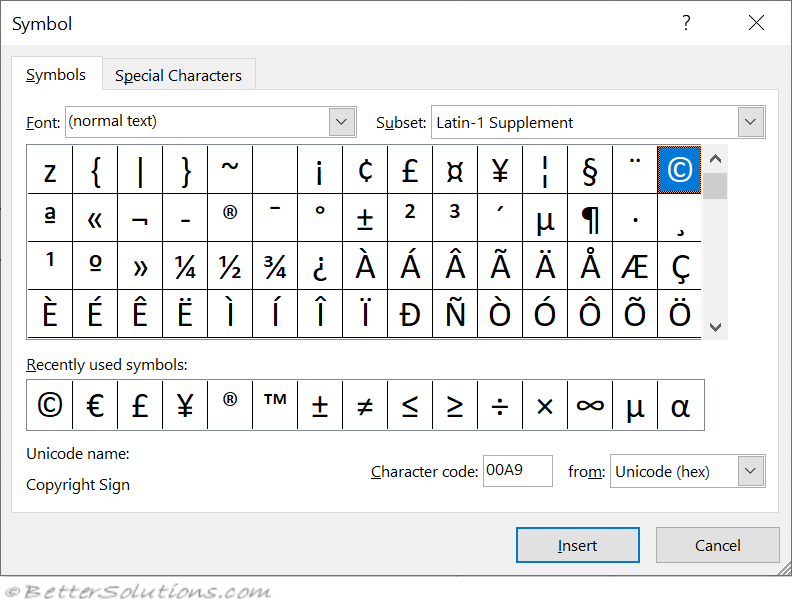 Selecting (Insert > Symbol) will give you the complete character set for every font installed font on your PC. 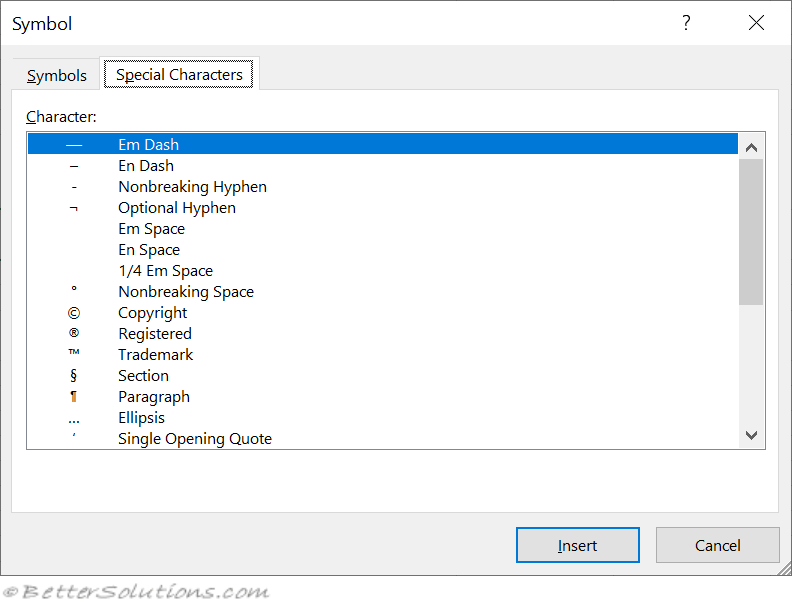 This dialog box makes it very easy to insert special symbols and characters into cells. It is important to remember that each font has a different set of special characters. Character Code - Displays the code of the currently selected character. You can choose from displaying the code in either Unicode hex, ASCII decimal or ASCII hex. This gives you access a number of commonly used special characters such as the trademark and copyright symbols. These characters will be left aligned by default. Not all the fonts support the Euro. Fonts that do support the Euro are Courier, Tahoma, Times and Arial. If you are not using Excel 2002 but are using an earlier version you can use the Windows Character Map program to obtain similar functionality (charmap.exe).